Here it is – our 2015 Best Practices for Email Newsletter Coding! This year, our annual analysis of the CSS support properties of all the most popular email services goes into more detail than ever before. We've broken down all the statistics chart-by-chart with everything you need to know to make sure your newsletters display perfectly. There are also tips and reminders of best practices to help you meet the highest current standards for newsletter design. We hope you find something that can be useful for you and we welcome any feedback you might want to share. Enjoy! As part of our ongoing commitment to training, education and expanding knowledge in the field of email marketing, we are proud to share our knowledge and experience in creating professional newsletter templates. 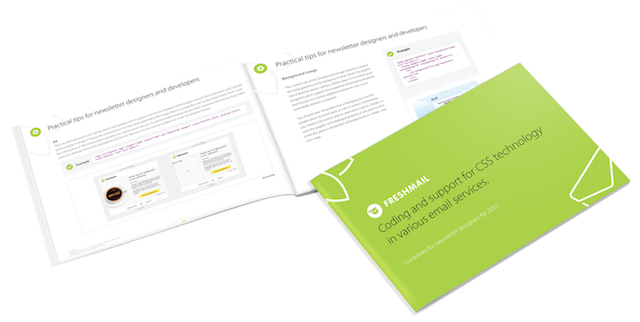 FreshMail has put together the ultimate guide to CSS support for email newsletters. This year, for the first time, we have included an analysis of animation and video in emails. We've also expanded our examination of the properties of CSS 3 technology that can be used in email marketing and the creation of emails for mobile devices in particular. What else you can learn from the report? Enjoy and good luck in your next campaign! What can we look forward to in email marketing in 2015? Co-Founder and CEO of FreshMail and winner of the Golden Arrow and Mixx awards. 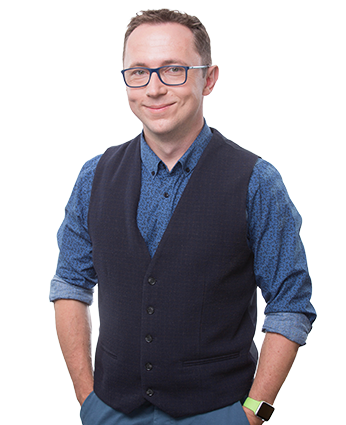 He is also a member of the Direct Marketing Association and head of the email marketing working group at IAB as well as the author of the best-selling book "A Fresh Approach to Email Marketing" and many other publications, surveys and industry reports.